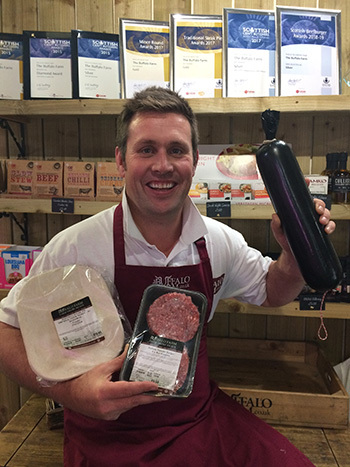 Congratulations to Ardross Farm Shop, which has been named one of the finalists of Shop of the Year 2019 by the Guild of Fine Foods. A superb accolade, which speaks volumes about its excellent customer service and fantastic produce. Also celebrating is The Bay Hotel in Kinghorn, which was awarded a prestigious Taste Our Best Award for the quality of its food offering. In particular, it was recognised for sourcing, using and promoting local and Scottish produce. It is one of just 1,000 Scottish businesses to have earned this award. Congratulations to Ore Valley Housing Association, which claimed the Best Community Project Award at the Scottish Renewables Green Energy Awards for its Dundonald Wind Turbine project. And finally, Supply Design is celebrating having been nominated as a finalist in the Power Electronics Innovation Award category of the TechWorks Awards 2018 – the highest accolade in the UK Deep Tech Industry.